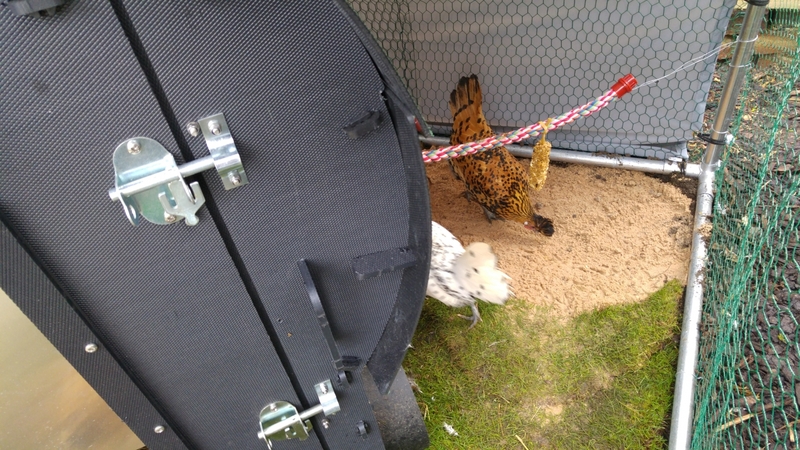 Blog Posts » The Hen landscaping begins! 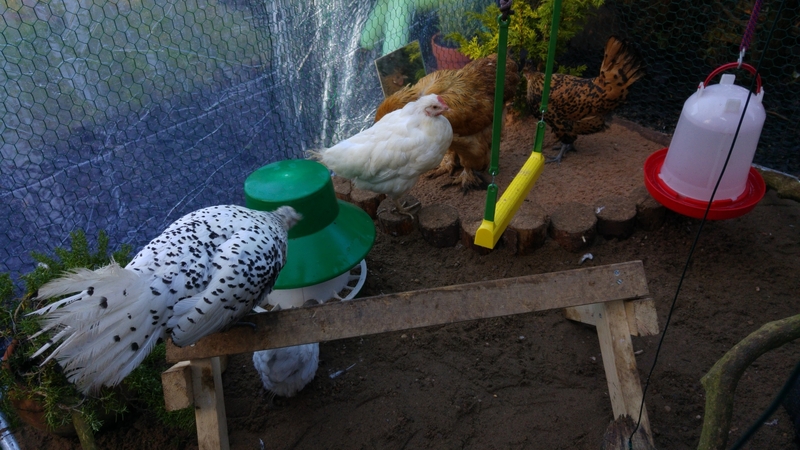 Helen had bought some chicken-friendly plants earlier in the week and on Saturday we bought 3 bags of sand for their new dust-bath. 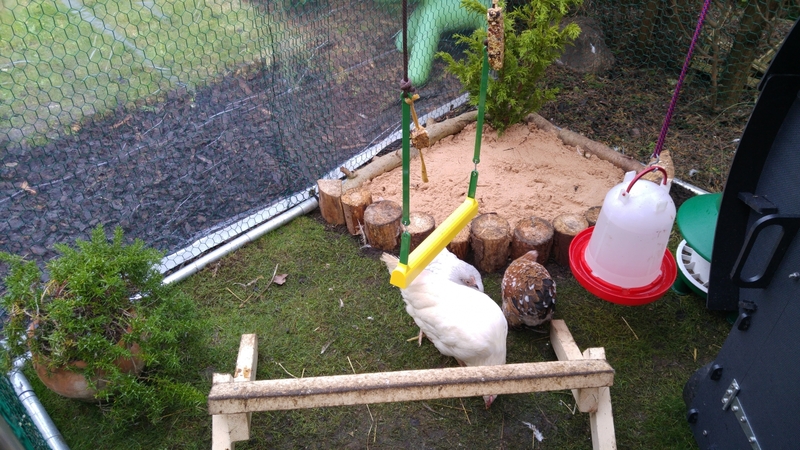 We waited with baited breath this morning to watch the hens explore their new features, but nobody has dared go into the sand yet (although Mabel did step into it and then hopped back out!) - let us know if you spot anyone in it! Here's Mabel and Leslie looking pretty! Not sure how long these plants will last! Please may I move in??? It all looks lovely, Neil. I love the dust-bathing area. It's nice that there's the room to add these little areas and different bits to explore. 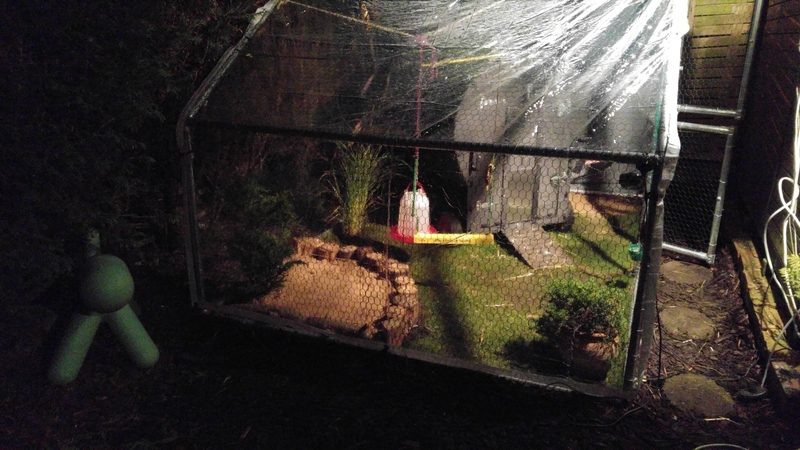 Last night Helen added a little bamboo fence to the rear bathing/planting area so that's getting there too! I added some DE to the sand and some more ash from our wood burning stove (apparently it's really good for the dust bathing area? 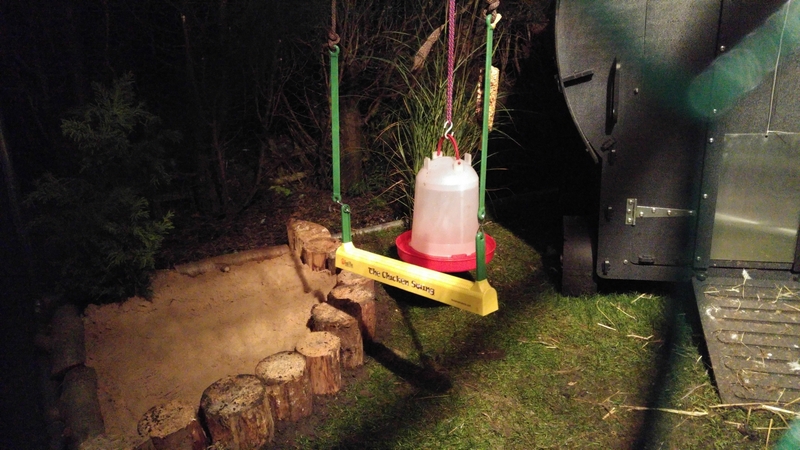 - although someone else said it can cause burns when it gets wet as it's acidic - but I didn't add too much and they're nice and dry in there) - of course nobody has gone for a dust bath in there but I did see Renee jump in and start scratching sand everywhere and eating it! They'll get the hang of it eventually. 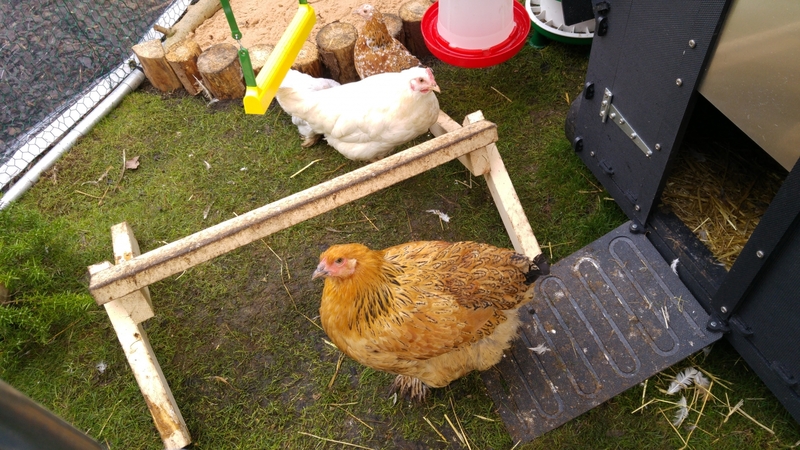 They're very sweet hens though - especially Leslie and Mabel (who is my favourite!) - she's so small but so inquisitive and friendly - will take treats from my hand and comes over to see what I'm doing when I'm collecting their "presents" (no I'm not talking about eggs!) - she isn't too scared of getting stroked already. Leslie too - she will tolerate strokes on her back but wanders off as she isn't too sure. I LOVE the dust bath fencing, they both look really good! The girls seem to enjoy having an additional perch too. It looks really lovely in there! THey are very lucky hens! The girls were initially on some lovely fresh turf - we knew it wouldn't last very long but it hasn't done too bad lasting nearly a month, but some bits were starting to look a bit worn and even worse, we had a week of pretty awful weather and the turf was acting like a sponge and soaking up so that when you stood on it, it seeped out in puddles! So Helen spent some time researching and along with Scarlet we decided that better drainage was definitely needed. 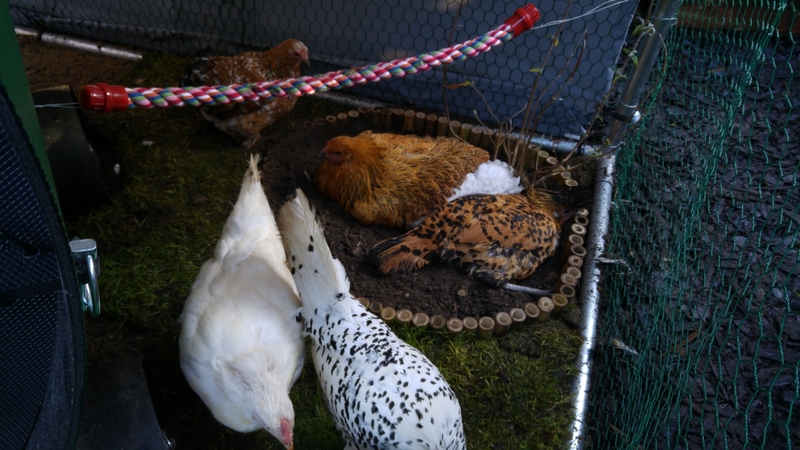 The aim was to put some pea gravel down to create good drainage, and then top that with sand to give a nice surface for the hens to scratch in (it's also bug resistant and makes cleaning up easy too). But it seems to be working - their feet feathers look good and it's nice and easy to clean too! They have such a great pen to live in now, Neil..they are lucky hens to have such a nice home.